The film follows young Helen who discovers one morning that she had been fired from her job at PR Company. Returning back home, she is trying to catch the subway train, and when she runs down we can see her life split off in two realities – what would have happened if she'd catch the train, and what if she’d miss it. An intriguing concept about fate and how simple moments have the ability to change our lives. When one door closes, another one opens. That’s a good mantra to have after a sad end to what you thought was a good relationship. As hard as it is to believe, you have to know that you’re on a path that will eventually lead to something better. In this love story, you’ll see how even the slightest change will reroute your heart. The world around us is an amazing, mystical resource of the unknown and one split second can send your life in two completely different directions! 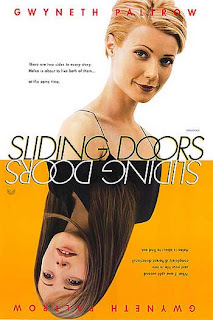 Buy a DVD "Sliding Doors" from Amazon!